The car category boasts the greatest field since 2015, with 130 vehicles —including about 30 S×S— expected to take the start in Lima on 7 January. 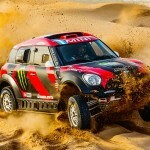 The X-Raid Team was dealt the best hand following the reshuffling of the elite deck since last January, with star signings such as 13-time Dakar champion Stéphane Peterhansel, Carlos Sainz and Cyril Despres, who will all be racing in John Cooper Works buggies. Toyota look set to be their fiercest opponents, especially with Nasser Al-Attiyah, always in his element when surfing the dunes. The history of the Dakar tends to be a sequence of eras in which competitors and teams dominate and carve their marks on the race. Mitsubishi reigned supreme at the turn of the century, with the longest victorious streak ever (9 titles in 11 years, including 7 consecutive ones), while Volkswagen burned briefly but brightly when the rally came to South America (2009–2011). 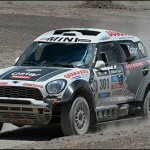 The X-Raid Team’s Minis then became ascendant and held the throne until 2015. Peugeot roared back onto the scene with its “dream team” to become king of the jungle for the second time, after its reign in the 1980s. Now, the Lion brand is no longer in the race, dramatically changing the landscape and whetting the appetite of those who hungered for three years in which Sainz, Loeb and Despres claimed three editions of the rally (including a Peugeot 1-2-3) and no fewer than 25 stages! 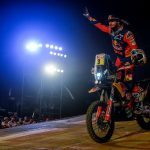 The X-Raid Team pounced on its quarry, bringing “Monsieur Dakar” back to a stable in which he had already had a bountiful hunt (winning in 2012 and 2013), together with the Spanish defending champion and five-time motorbike winner Cyril Despres. The trio, racing in two-wheel drive buggies that are lightyears ahead of last year’s versions, will rub shoulders with Nani Roma, at the wheel of the traditional but consistent Mini All4 Racing, as well as credible outsiders such as Jakub Przygoński, Orly Terranova and Yazeed Al-Rajhi. Sven Quandt’s men are the clear favourites, but Toyota is also bringing some serious firepower into the game in pursuit of its first victory. 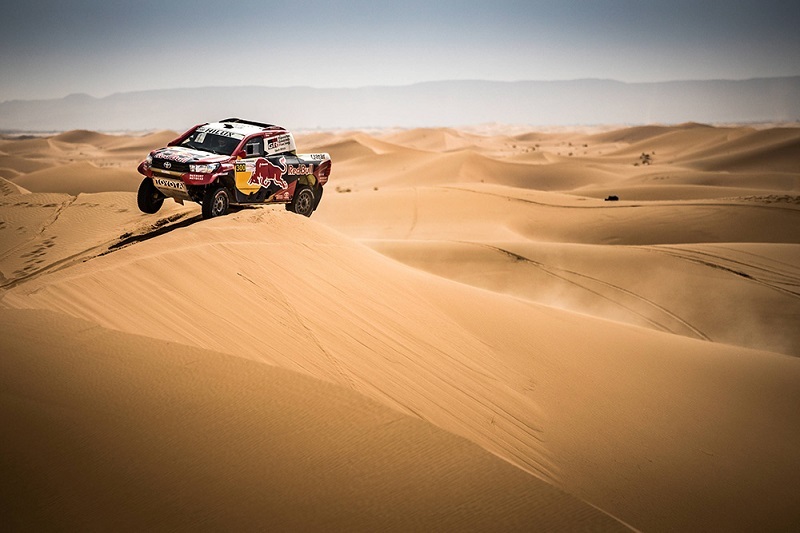 Nasser Al-Attiyah, owner of the coolest smile in the bivouac, is also the most fearsome dune surfer in the world of rally raids: second at the finish in Córdoba in 2019, the Qatari driver has been nigh untouchable throughout the season, claiming another world championship in the build-up to the rally in January. Teammate Giniel De Villiers, victorious in Buenos Aires ten years ago, was also on the final podium in 2018 (third) and could well reclaim the crown. Bernhard ten Brinke is yet another dark horse. The Dakar needs its fair share of troublemakers. It is hard to see past the two drivers who found themselves a spot at the eleventh hour to give the leading teams a hard time. Sébastien Loeb, who has returned to the Dakar every year since his debut in 2016, will again be driving a Peugeot 3008, this time prepared and fielded by the PH-Sport private team, giving him at least the chance to produce some flashes of brilliance. 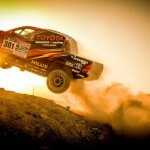 Robby Gordon, a 10-time Dakar stage winner and podium finisher in 2009, is also a master of these scenarios. The American is back in the race that frustrates him as much as it fascinates him, with a Buggy Textron fresh out of his garage… known for its very pleasant surprises. 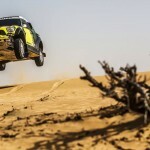 Dakar — All systems go!